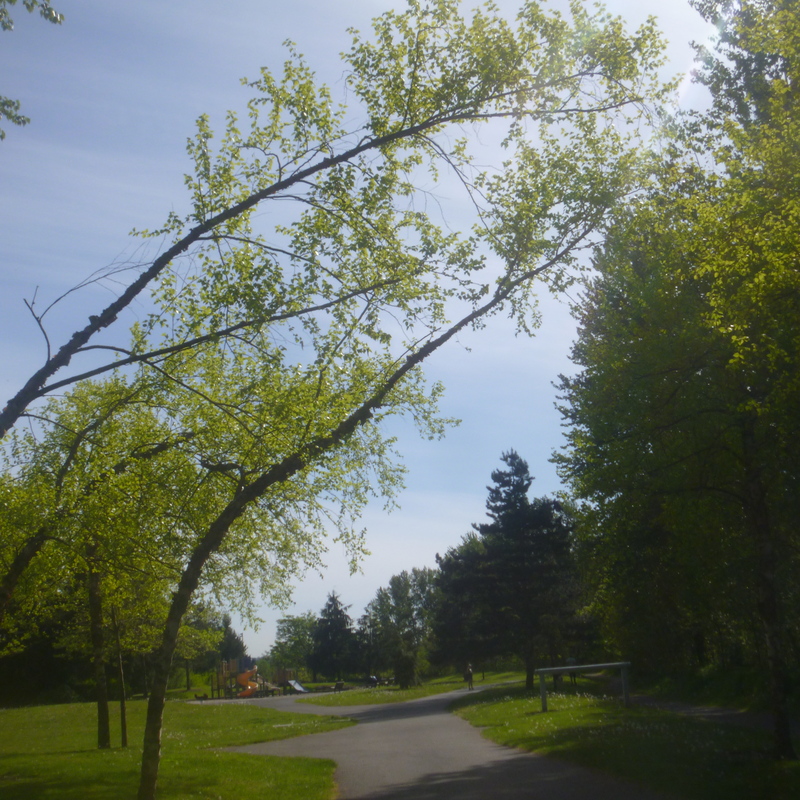 On our short walk in the park, we noticed these trees. Is this natural, or were they bent that way? The second bee box is on each hive. All those spots on the white are bees, though a bit difficult to see. 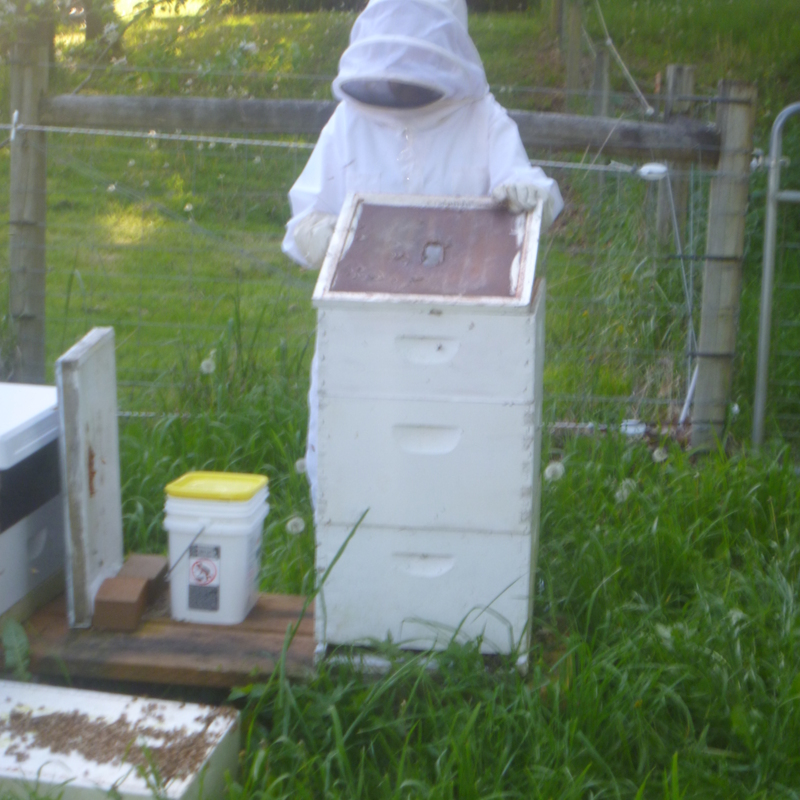 It is amazing how wearing the bee suit takes the fear out of working with the bees. Even though they are swarming all over, knowing I’m not going to be stung gives me confidence. And yes, that is me in the bee suit. 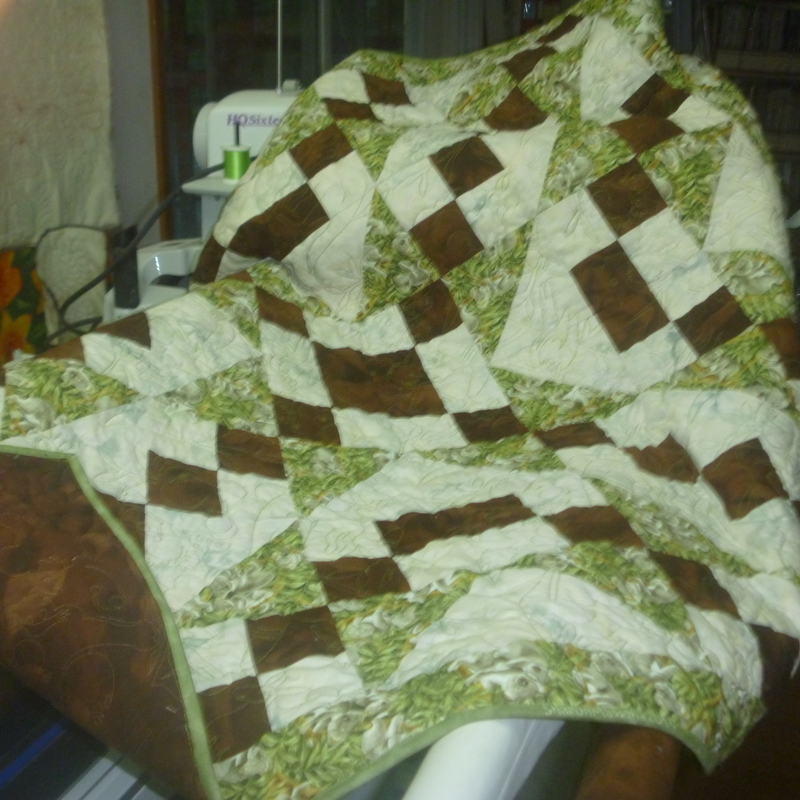 Do you see the signature embroidered in the binding at the bottom of the photo? 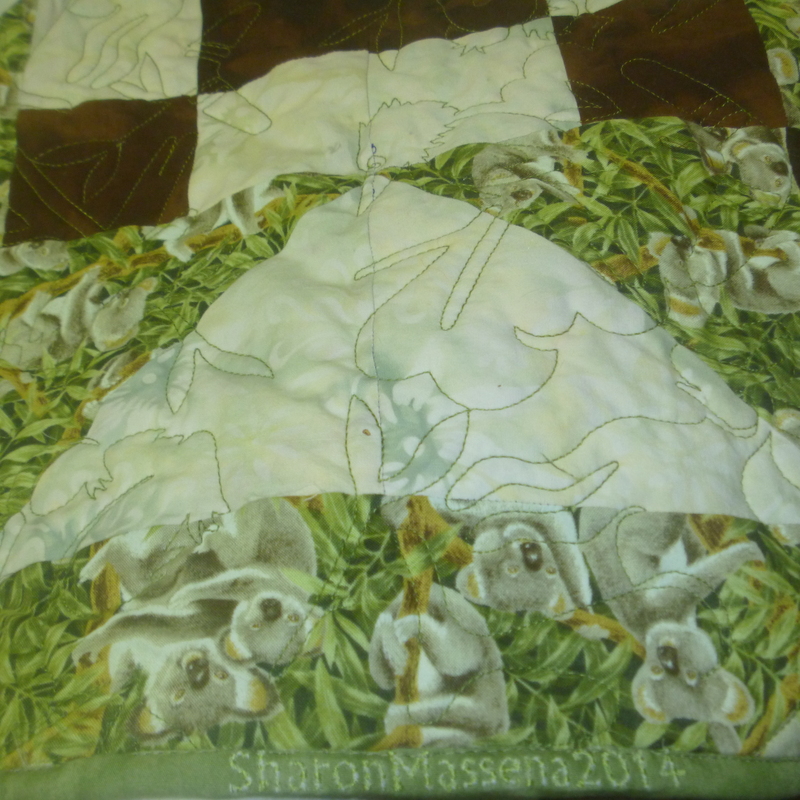 The koala quilt is finished – signed and bound! I gave it a bit of a push to be able to count if in April’s finishes.